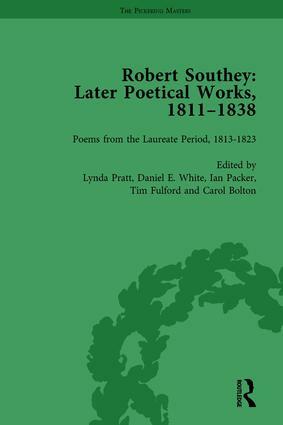 Central to any reappraisal of Southey’s mid to late career, is 'Roderick'. This best-selling epic romance has not been republished since 1838 and is contextualised here within Southey’s wider oeuvre. The four-volume edition also benefits from a general introduction, volume introductions, textual variants, endnotes and a consolidated index.